Altamonte Springs Computer Repair Service has provided the best mobile computer repair in Altamonte Springs, FL and the greater Orlando Metropolitan Area since 1999. The term "mobile computer repair" means we come to you, to your home or business, to resolve all your computer problems. Why not use the #1 rated company for computer repair in Altamonte Springs, FL? "Ben was very professional, answered questions, offered advise pleasantly. I appreciated his assistance in securing my computer." "Jason did an awesome job at explaining all the questions that we had! He will be our go to computer guru from now on! We highly recommend him!!" Who is Altamonte Springs Computer Repair Service? 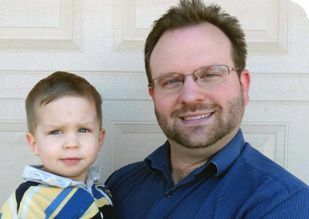 Altamonte Springs Computer Repair Service is owned by Matt Karls, an Electrical Engineer and a Computer Systems Engineer. We are a team of computer professionals focused on Service and quality, all our work is guaranteed. If you have any computer, technology or IT problem in Altamonte Springs, FL we can fix it. We have been performing computer repair in Altamonte Springs full time since 1999. Feel free to give us a call or text us at (407) 801-6120. Our primary on-site mobile service areas include the greater Orlando Metropolitan Area and the Phoenix, Tucson, Las Vegas, San Diego, Salt Lake City, Denver, Dallas-Fort Worth and Tampa metro areas. 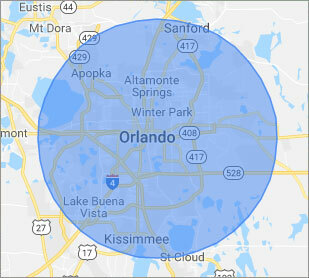 We provide remote and mobile computer repair in Altamonte Springs, Apopka, Azalea Park, Belle Isle, Buena Ventura Lakes, Casselberry, Celebration, DeBary, DeLand, Deltona, Dr. Phillips, Fairview Shores, Geneva, Goldenrod, Hunter's Creek, Kissimmee, Lake Butler, Lake Mary, Lockhart, Longwood, Maitland, Meadow Woods, Oak Ridge, Ocoee, Orange City, Orlando, Oviedo, Pine Hills, Saint Cloud, Sanford, Southchase, Union Park, Wekiva Springs, Windermere, Winter Garden, Winter Park and Winter Springs. Our mission is to fully resolve your computer problems quickly and affordably. If you want a Computer Engineer that can fix all of your computer problems instead of a computer tech, a computer geek, a technician or a computer guy that can only fix some of your problems; call us at (407) 801-6120.